Winter has come and gone and the warmer weather is hitting Southern California with a vengeance. On days like today where temperatures are reaching close to the 90s, I want to treat my family with a cool and refreshing snack. We created these new Creamy Mango-Chile Ice Pops with Nestlé® La Lechera®. The sweetness of the mango and condensed milk has a spark of fire with the chile powder. All of it goes down together beautifully. We always stock up on Nestlé® La Lechera® in our kitchen as it helps us be creative with everything from fun snacks to delicious desserts. It’s the perfect ingredient for you to pamper your loved ones with delectable desserts that ﬁt a busy lifestyle — from traditional favorites to easy family go-to snacks/treats, like these Creamy Mango-Chile Ice Pops. The pops are super easy to make and require simple ingredients. 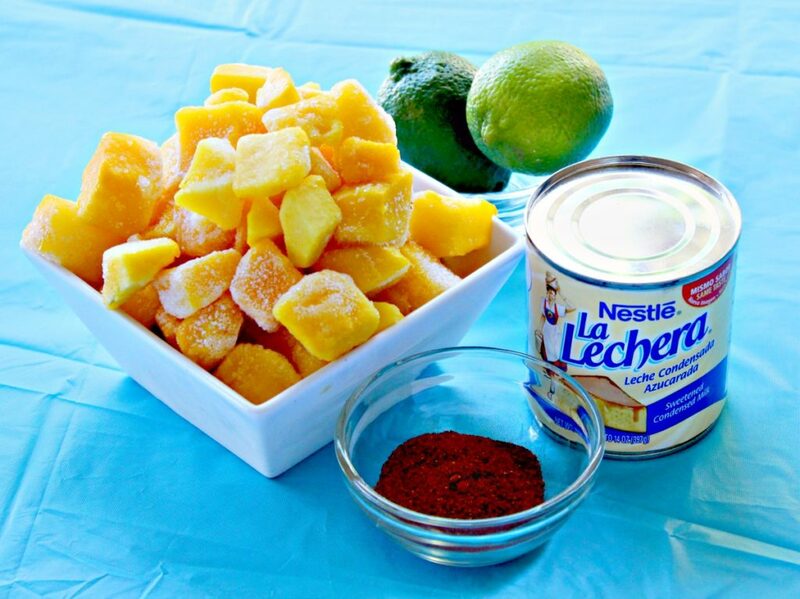 For more sweet inspiration make sure to follow La Lechera on Pinterest. Place chile powder and mango in food processor and puree. Add La Lechera Sweetened Condensed Milk, lime juice, mango juice and blend. Sprinkle chile powder on the bottom of the ice pop molds. 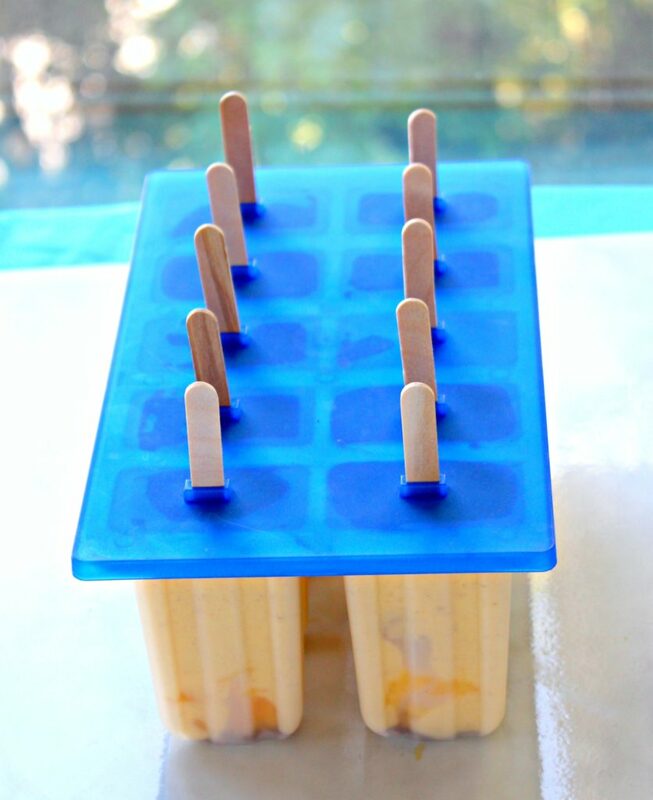 Spoon creamy mango mixture into ice pop mold. Freeze until firm, about 3 to 4 hours and serve cold.